Your application should reflect who you are as a person. Make sure to include your motivation for applying for the specific job, and attach an up-to-date resume including a detailed description of your professional skills. After submitting your application through our online form, your skills and experience will be assessed by our recruiters. If they believe there’s a match for the position, they’ll contact you for a phone or video interview, or meet you in person. At the initial interview you will typically meet the hiring manager responsible for the business area or department where you have applied. You’ll learn more about Ramboll as well as the position. And they will of course want to learn more about you. If you are invited to a second interview, you will typically meet a representative from HR and/or other members of the team. Depending on which position you are applying for, we might ask you to fill out an assessment test before making a formal offer. 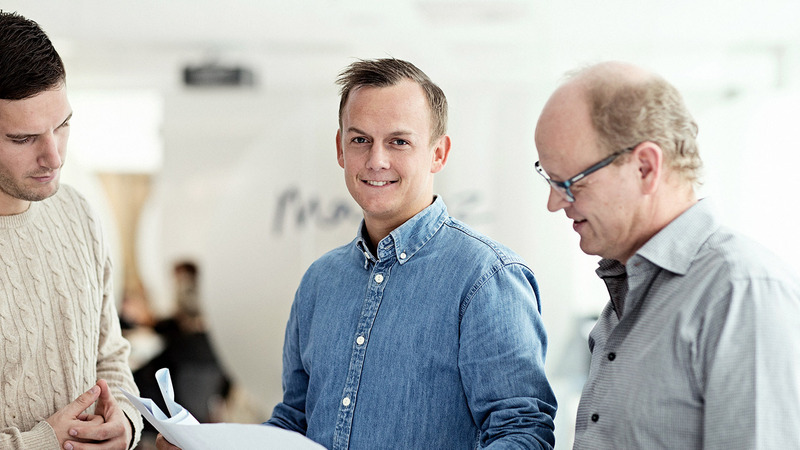 At Ramboll we are always looking for talented employees to fill our job vacancies. Here are some tips for writing a good application. We receive numerous solicited and unsolicited applications daily – a fact that pleases us immensely. For this reason, your application has to be interesting and exciting enough to stand out from the crowd. The application is your opportunity to catch our interest and thus the first step on the path to a job interview. It must be visible in your application that you have understood the content of the job description properly. Tell us what experiences from your study, previous student jobs, internships, projects etc. that you can draw on. You should present a convincing case for how you match the job requirements. Specify why you want to work at Ramboll and how you think you can contribute. Tell us what is important in your working life. Your personality must shine through so we get an impression of you as a person. Your CV must as a minimum contain personal contact info:Full name, address, mobile, email etc., relevant education, work experience and the relevant responsibilities you have had. End your CV with your spare time activities, e.g. sport activities, hobbies.Put a page number on each side. Any international experience, ‘management skills’ obtainedn from student jobs or other positions, voluntary work – write it in. Your application must be targeted, accurate - approximately one A4 page. Arrange the information in your CV and application in a comprehensive manner. You can upload your CV here. We will contact you directly if we have a job opening that matches your profile.